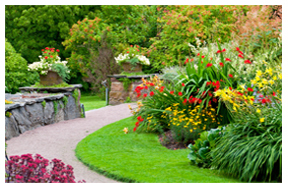 Lawn service Las Vegas doesn’t just mean to improve a home’s garden alone. There is a lot to think about when landscaping a home. Things that you should be thinking about when landscaping a home, are areas such as, the fence, hedges, decks, fountains or anything else you might want to add. 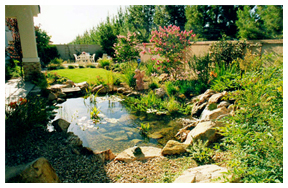 If you are not a master landscaper, consider hiring our experts to help you for your Lawn Service Las Vegas Area. Though do-it-yourself individuals often think that they can save money by not resorting to using a company, the opposite might actually be true. A company can determine the exact chemicals, treatments, and care that your lawn needs, resulting in less work and sometimes, a reduced cost. In lawn service Las Vegas, knowing what growing zone you are in and the annual rainfall amount is crucial to choosing plants that will grow and thrive in your landscape. Plants that have evolved to grow in a climate similar to yours will require far less maintenance and care on your part and save you time. Consider the ‘rule of three’ when it comes to planting. An effective rule of thumb is that plantings look best in groups of three, If not three, then any odd number typically looks better than an even number of plantings. This is not a set rule in any way, but a good one to keep in mind. There are a large variety of rocks that you can find at your local nursery that can add to the colors brought out in the plants. Common colors include reds, pinks, blues and purples. 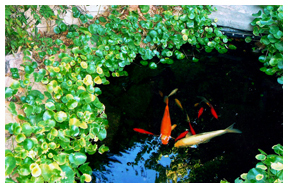 Of course, consider the surrounding plants before deciding on rocks and types. we are specialist for Lawn Service Las Vegas Area. Do not start a large landscaping project if you are not planning on staying in your home for too long. Although a good scenery increases the value of your home, you will more than likely spend a lot of time and money on a landscape you will never really enjoy. 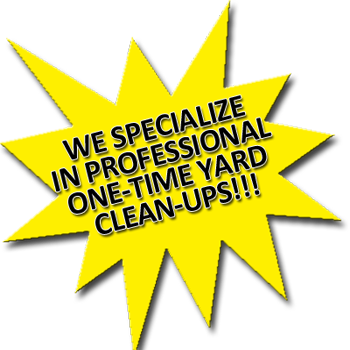 There are times when you will need immediate lawn service Las Vegas. If you are just moving to Las Vegas, and the home you choose needs a lot of turf work. It is important to have a yard that looks good and the first thing that people are going to notice when they see your new home. You want to find lawn services Las Vegas that is reliable. If you schedule the turf company to come by at a certain time, they should be there. Your time is valuable and an excellent lawn care will be happy to work around your schedule. They will come to your home and do any work that is needed in a timely manner. A good and dependable lawn care will never keep you waiting, and they will always be professional and courteous. There are many good turf services in Las Vegas, but you will want to choose a company that has been in business for a little while. TurfTrimmers has been in business in the field Lawn Service Las Vegas in the Las Vegas Valley for over 20 years. Experienced lawn services will have the skill to get your yard looking the way that you would like for it too. You will want to hire a landscaper or a company that has a good reputation. We have all of the great references on the quality of the care and the services that they provide. TurfTrimmers can turn dull grass into a lush green lawn. If you are in need of a company to work on your yard, you can do so by emailing us at turfexe@hotmail.com for the most professional. For more information about Lawn Service Las Vegas Vegas Call us now!